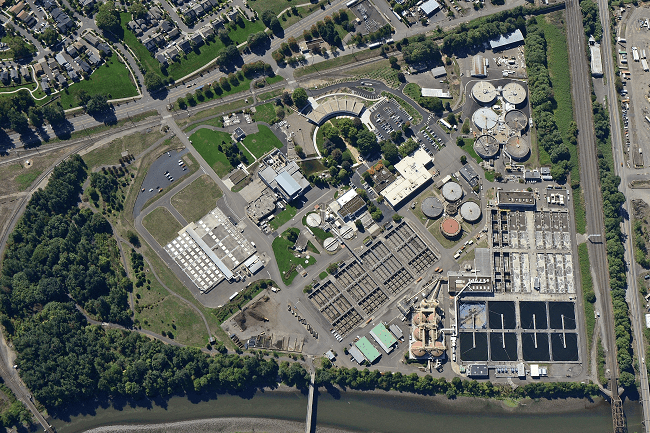 Portland, OR – Stantec, a global engineering, architecture, and consulting firm, is providing Program Controls, Engineering Services and Construction Management to the City of Portland, Bureau of Environmental Services (BES) during the design development, construction, startup and commissioning of significant infrastructure upgrades for two major local wastewater treatment plants: Columbia Boulevard Wastewater Treatment Plant (CBWTP) and the Tryon Creek Wastewater Treatment Plant (TCWTP). BES serves the Portland community by providing water quality protection, watershed planning, wastewater collection and treatment, sewer installation and stormwater management. BES owns and operates two wastewater treatment plants to treat collected wastewater from its service areas. CBWTP treats from a service area that consists of both combined and separated sewers with a peak wet-weather combined flow capacity of 450 million gallons per day (MGD) and treats an annual daily average of 76 MGD of municipal wastewater. TCWTP is a sanitary sewer facility rated at 8.3 MGD that treats an annual daily average wastewater flow of 6.5 MGD. Stantec’s role is to fully integrate within the BES organization to provide project controls and management services for the delivery of more than $150 million of improvements at these two facilities over the next six years. Additionally, Stantec will develop and update existing design standards and performance requirements and will provide construction management, inspection and quality control services over a multi-year period. BES has opted to deliver these two projects utilizing an alternative delivery process, referred to in Oregon as Construction Management/General Contractor (CMGC). It is also known as Construction Management at Risk (CMAR). Stantec has been working closely with BES staff since summer 2018 in establishing program management plans, document management strategies, risk management and change management protocols, communication plans, baseline schedules and budgets. The firm has also been assisting with selection of Construction Management/General Contractor (CMGC) entities. Stantec will act as an extension of BES staff to provide large program implementation expertise to support and mentor the City’s respective implementation teams while working collaboratively with the selected Engineers of Record (EoR) and CMGC firms. “We selected Stantec as we felt their team and the firm’s experiences around the world in supporting the delivery of large capital programs using alternative delivery will provide the highest value to BES,” said Muriel Gueissaz-Teufel, BES Program Manager. “Since our start in August, the Stantec team has helped us get on the right track and focus our efforts on the delivery of our two large capital projects. Their collective experiences, processes and tools are positioning BES and our two programs for successful completion. We are very excited to be underway”. Stantec is a member of both the Water Design Build Council and the Design Build Institute of America. 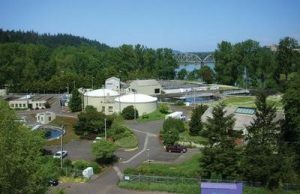 The global firm was the first to introduce Alternative Project Delivery (APD) to the municipal market in the Pacific Northwest during the 1990s and remains a leader in APD for water and wastewater infrastructure projects. In the Pacific Northwest alone, Stantec has delivered more than $430 million of APD projects in the past 15 years, including $150 million in Oregon. The two facility upgrade programs are expected to be completed by 2024.